Security architecture needs to be deciphered intelligently for faster and more efficient implementation of technologies. Our cloud architecture design services offers you multiple benefits to assist you designing and deploying best security technologies. Evaluate the influence of your vital business assets on advance so to gauge the effects of vulnerabilities and security threats. This makes implementation of your security architecture design more focussed. Experts of security architecture design help you consider architecture beyond IT standpoint. As a result, you are able to involve structural security elements needed in order to support the ever-changing technology infrastructure, evolving legal frameworks and sophisticated threats. Security architecture design needs specialized skill set. Consultants can fill the gap of hiring broadly skilled staff members and bring in unique use cases. Security architecture consultants would guide you through aligning your technology strategy with your business performance. You can then configure and customize your technologies for optimum security and efficiency. Security architecture design consultants help in planning and evaluation. You need a thorough diagram or blueprint for migrations, security integrations and implementation. You may have a data center, or have opted for cloud storage or a mix of both or how mature or not your storage capacity or data architecture is, we can always pitch in to consult and help you from your current state of security architecture. We consult organizations towards developing a more mature Identity And Access Management (IAM) framework and capabilities. This eventually helps you to reduce your identity management costs and move faster towards your business goals. If you are migrating to a managed service model, we will assist you through our panel of experts for a smooth transition. Our team is well-equipped to advise you on enterprise-class information technology needs – be it emerging technologies or trends, cloud strategy security enhancement and systems optimization. You may already be working on cloud or may be considering migrating your data to cloud, we can pitch in at any stage to help you. We can assist you in designing a cloud approach from scratch keeping security in mind or suggest modifications in your current cloud security in the best possible manner. We bring in expertise from multiple security disciplines to help you create the best suitable cloud strategy. Our panel will assess your cloud program or your existing data infrastructure for identifying security gaps and suggest amends. We will also help you in understanding and implementing cloud compliance apart from an array of activities such as cloud security risk assessment, cloud security workshops and cloud strategy. In the world of Bring-Your-Own-Device and mobility coupled with emerging technologies, network security is becoming more challenging by the day. We have network security experts who help you leverage from their experience from working in a wide range of environments for your network designing. We will consult you in deciphering new technology, selection of technologies and preparing strategic plans based on security compliance and business objectives. For this, we will conduct a deep study of your IT resources, process, existing technologies and your business policies. Our consultants will also assist in technology assessment so you make the right technology purchase decisions. We will then evaluate your overall readiness for implementation of the wireless deployment of network security architecture. Today every business is a data business because everything is digitalized. It’s not enough to protect your current data but you need a mechanism to protect the entire data lifecycle i.e from data creation to data at rest, in motion, in use to data destruction. Our consultants will help you identify data security holes and assist in creating the right combination of technologies and solutions to help you protect your data. Our team comes with an experience of traditional data centers so we understand data deeply and thoroughly. We consult in identification and selection of data technology, assessment, integration and data migration among other areas. We have the right set of skills and expertise to provide a wide variety of security intelligence services best suited for your business. Our team has more than 50 consultants and their combined experience along with more than 100 completed projects related to security intelligence. We will consult you in internal and external threat detection and management, breach detection and meeting compliances and regulations. We will provide you with integration strategies so as to help you get maximum return from your technology investment. Through our consultation, you will be able to enhance your efficiency and security from optimizing your technology infrastructure. Our team brings in the experience of traditional data centers which helps us approach modern data and security technologies from the root. We know security architecture in and out to help you at any stage or level. You get access to a pool of knowledgeable consultants across all technologies and security controls. Be it system network experts, data and cloud specialists, security intelligence designers, web and email security experts - our team is equipped to handle any part of architecture or technology. Since our experts come from traditional data center backgrounds, we understand security architecture deeply and thoroughly. The Internet of Things has changed the way we looked at data, cloud storage and security. We have frameworks and schemes prepared for IoT-specific projects for you to leverage from. We are on the verge of building our own AI-based products to help you accelerate and scale your business.  We give you API-based applications from our stack so you can fulfill all your security architecture needs at one place. We adopt a specialized approach for architecture design services to ensure better results and efficiency. Our panel of consultants would sit down with your business and networks teams to understand objectives and targets. This exercise helps us be on the same page as you and enables us to thoroughly understand your needs and requirements. Your business may be at a stage where you are looking for a data migration to cloud or you may be partially on cloud. We help you define what’s best for your business in the existing stage and visualize where it can be. This is where we finally prepare a high-level network diagram or a blueprint for your security architecture design. We consult you about the calculation of scope and cost for the design implementation. However, if you need us to execute the design architecture, we can provide you with execution services as well. Click the below button to get in touch with our Sales Representative.